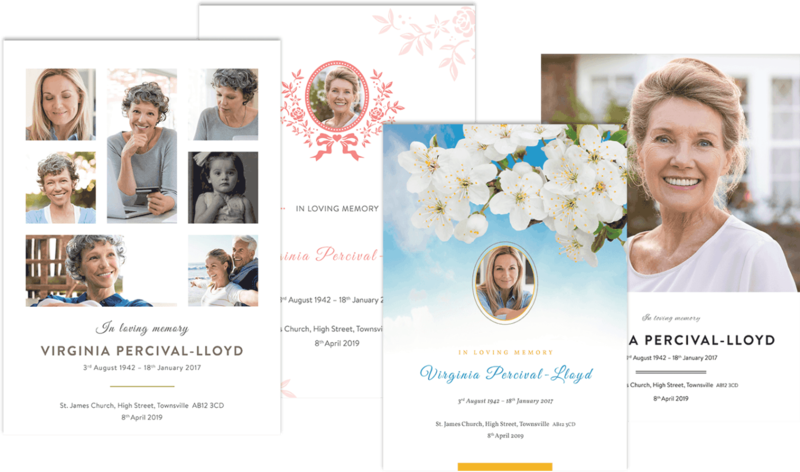 Create your own elegant funeral stationery online. Our range of designs are perfect for those wanting to commemorate their loved one with a fitting keepsake. 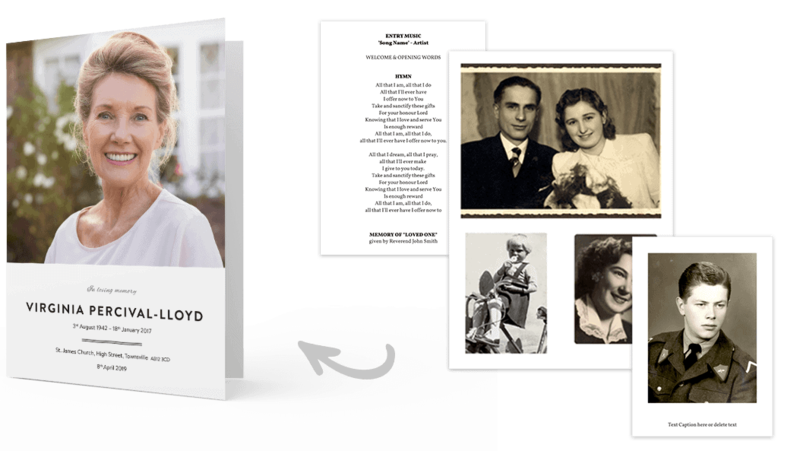 Personalise online with cherished photos and your own hymns, poems and readings. We specialise in funeral stationery and pride ourselves on our customer service and our friendly, approachable staff are here to help, every step of the way. Choose from over 65+ beautiful cover designs and personalise with your own photos and wording. Simply complete pre-populated text options including the name of your loved one, date of birth and death, funeral time & location. You can even add your own quotes and messages. Create 4, 8 or 12 page order of service booklets using our editable page templates. You have the freedom to personalise the inner pages of your funeral order of service exactly to your requirements. 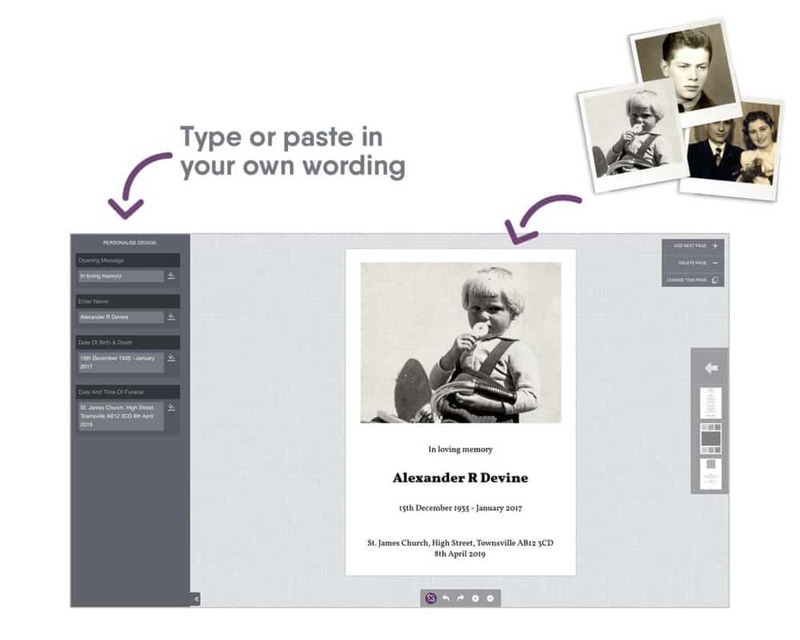 Select from a range of different photo pages allowing you to upload photos of your loved one. Use our text page and simply paste or type in your own wording to include readings, hymns and prayers. 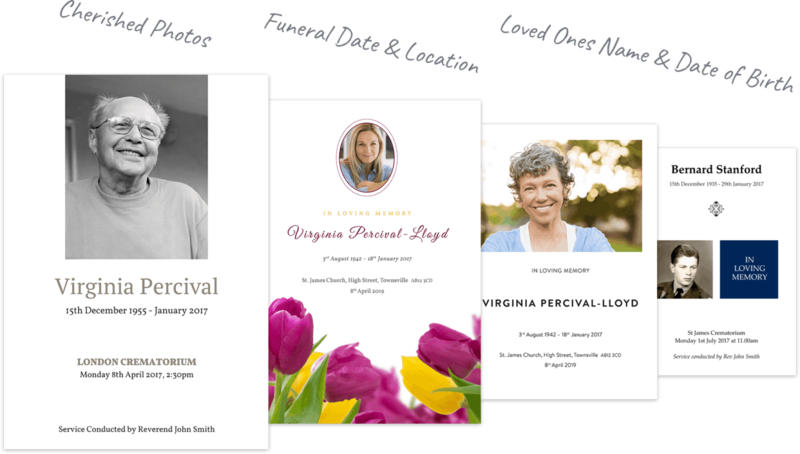 Our free online template editor allows you the freedom to personalise funeral stationery exactly to your requirements. Insert cherished photographs, type or paste in your own text hymns, poems and readings. Browse our selection of useful resources including hymns, poems and how to create a funeral order of service. We take great pride in the work we do and we want you to be happy with your funeral stationery.